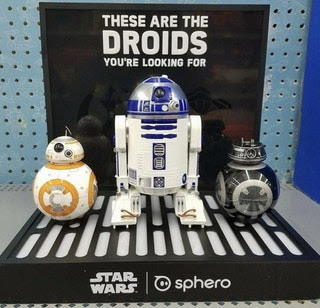 The droids can interact with other Star Wars app-enabled droids by Sphero. They also have a "Watch With Me" feature that lets them watch Star Wars with you and react to whats happening on screen. 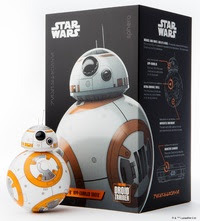 All the ball-shaped droids come with a rectangular base called a "Droid Trainer" that lets droids roll in place and reach maximum speed without couches or walls blocking them. 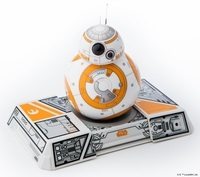 This can be used to do in-app Augmented Reality tours of Star Wars ships. 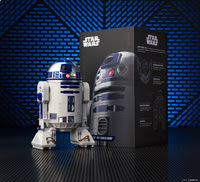 I am so hyped for these droids and can't wait for them to come out! 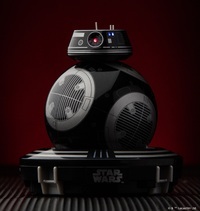 The BB-9E will cost $150, and the R2-D2 will cost $180. I will definitely try to get one of these at some point. Augmented reality is similar to virtual reality, except that you see your own world with things added to it. Think of Pokemon Go for instance, or even those annoying Snapchat filters. Those are all technically examples of AR. 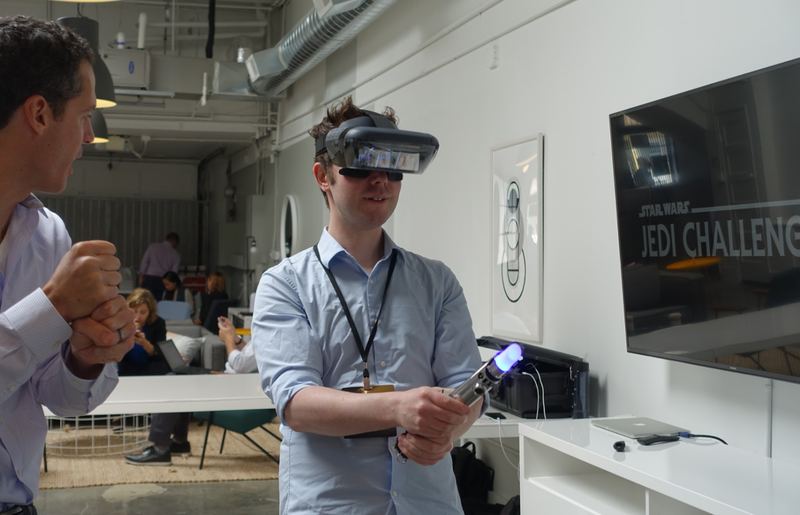 Disney has made its own Star Wars AR headset by collaborating with the company Lenovo. You have to attach your phone to the inside of it, and it is put at a 90-degree angle, which makes it reflect onto mirrors in the headset, so you have a more immersive experience. The headset has cameras on it that see the outside world. 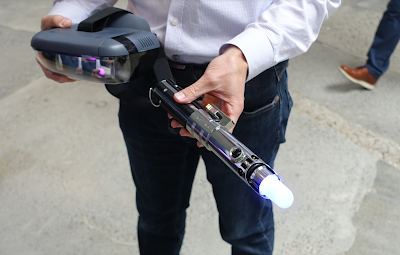 There is also a lightsaber controller that comes with it that detects your arm movements and the location of your lightsaber in virtual 3D-space. There is a purple tracking beacon that you can place near the center of the room you are in so it tracks where you are. The app is a game that lets you go on missions, fight stormtroopers, and lightsaber duel- which all take place in your own house. Since it is app-based, Disney can update it later on with expansion packs to improve the gameplay experience. The headset will launch in November and will cost $199, and will be sold exclusively at Best Buy stores. I can't wait for all this new tech! 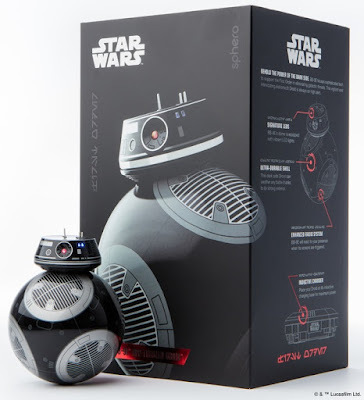 Even though we will have to wait two months for the AR headset, the Sphero robots and several action figures from The Last Jedi come out tomorrow for Force Friday.